Researchers from Western Sydney University have investigated the effect of rising temperatures on the liveability of cities. They found that an over-reliance on air-conditioning and lack of cooling elements in public outdoor areas are leading to sedentary lifestyles and social isolation. The research drew on the findings of a transdisciplinary pilot study titled Cooling the Commons, and interviewed groups of residents in Western Sydney to find out how they keep cool in extreme heat. They asked how vulnerable groups including the elderly, mothers with young children and carers would like to see their communities improve as summers are getting increasingly hotter. 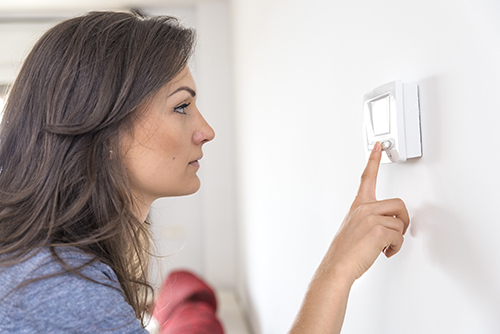 Dr Louise Crabtree from the Institute for Culture and Society, says that when summer temperatures soar, liveability is compromised, especially for those who don’t have access to, or can’t afford, air-conditioning. “The capacity of individuals and communities to cope with urban heat is determined by housing design, housing tenure arrangements, the design of public spaces, social networks, and everyday material circumstances,” she says. The report found that indoor shopping centres and fast-food restaurants are the only major sites of cooling and recreation for many residents in Western Sydney. “Another group described being completely reliant on air-conditioning and confining themselves to particular rooms in their homes during hot days. This can lead to social isolation with single-occupant dwellings on the rise in Australia,” Dr Crabtree says. The researchers say that with air-conditioning now the primary response for keeping cool, the provision of outdoor infrastructure such as shade, shelter, public water and places to comfortably rest and wait during summer has been neglected. “New houses in Western Sydney, as all around Australia, are being designed around air-conditioning to deliver thermal comfort,” says Dr Crabtree. The researchers call for governments to consider alternative ways to deal with the heat and to listen to the voices of residents in designing adaptive environments. The Cooling the Commons (opens in a new window)pilot project investigated how western Sydney residents keep cool during the hottest parts of the year and how they would like to see their living environments modified to improve wellbeing in a climate changing world. Researchers were Dr Abby Mellick Lopes, Dr Louise Crabtree and Professor Katherine Gibson from the Institute for Culture and Society (ICS), and Emeritus Professor Helen Armstrong from QUT. That research has led to an ongoing research program with Dr Stephen Healy, Dr Emma Power and Vanicka Arora (ICS) and Professor Cameron Tonkinwise (UTS) joining the original team. Research from the project has recently been published in Human Ecology Review (opens in a new window). The current phase of this research is developing a pattern book that will guide better urban design in western Sydney in partnership with Landcom.